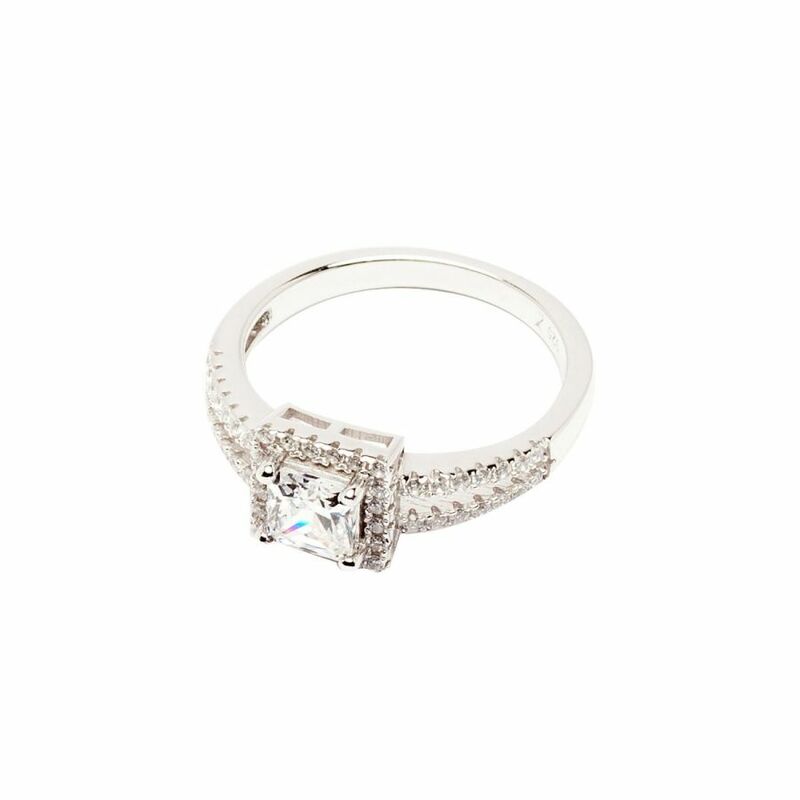 Also great as a wedding ring replacement, the Love is Square Ring is a gorgeous piece. This elegant ring has a number of features; a square cut white micro pave cubic zirconia center stone encircled by a layer of smaller stones. The sterling silver band showcases two bands of additional accent stones along the shank.